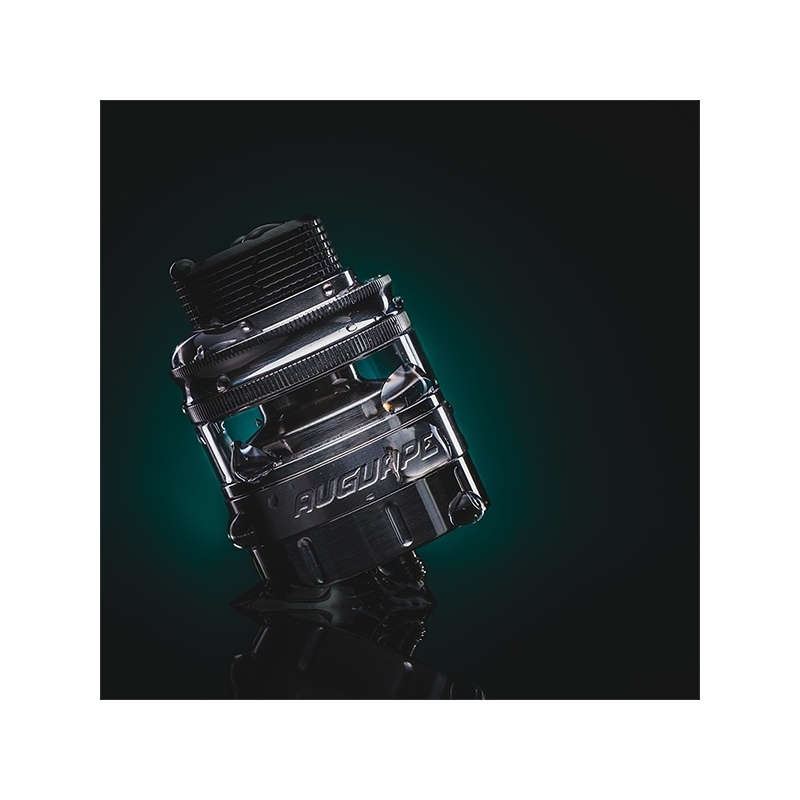 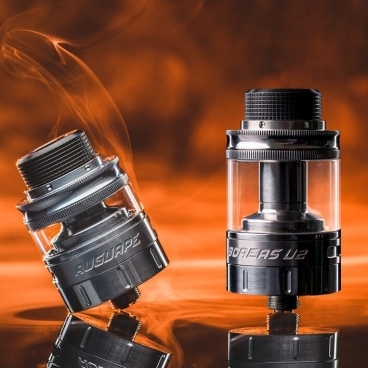 The Boreas V2 RTA by Augvape is 24mm in diameter and features a user-friendly two post deck for dual coil configurations. 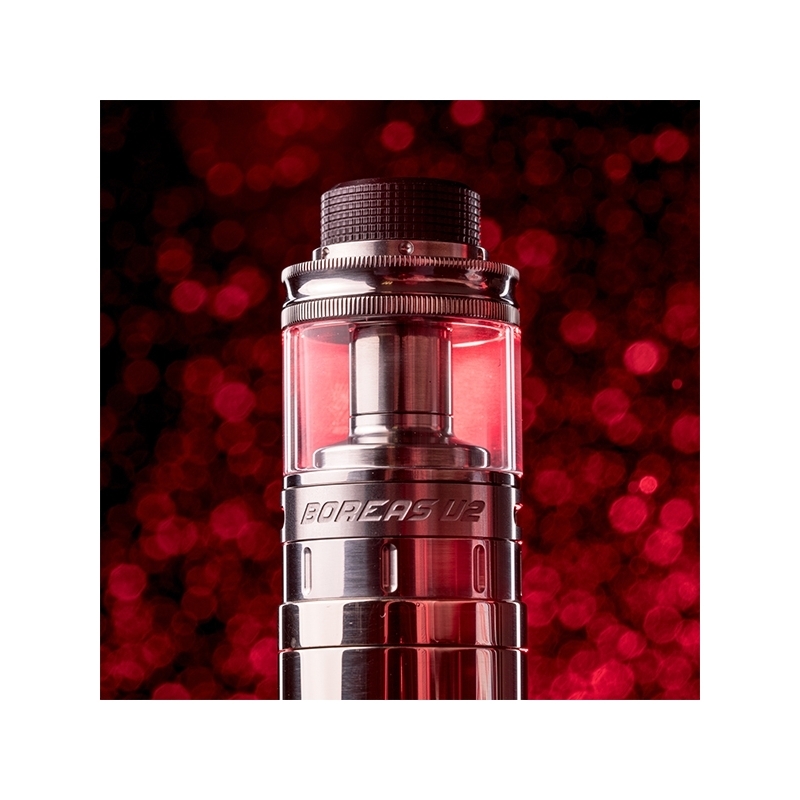 The Boreas V2 has a tank capacity of 2.5ml or 5ml by utilizing the included chimney adaptor. 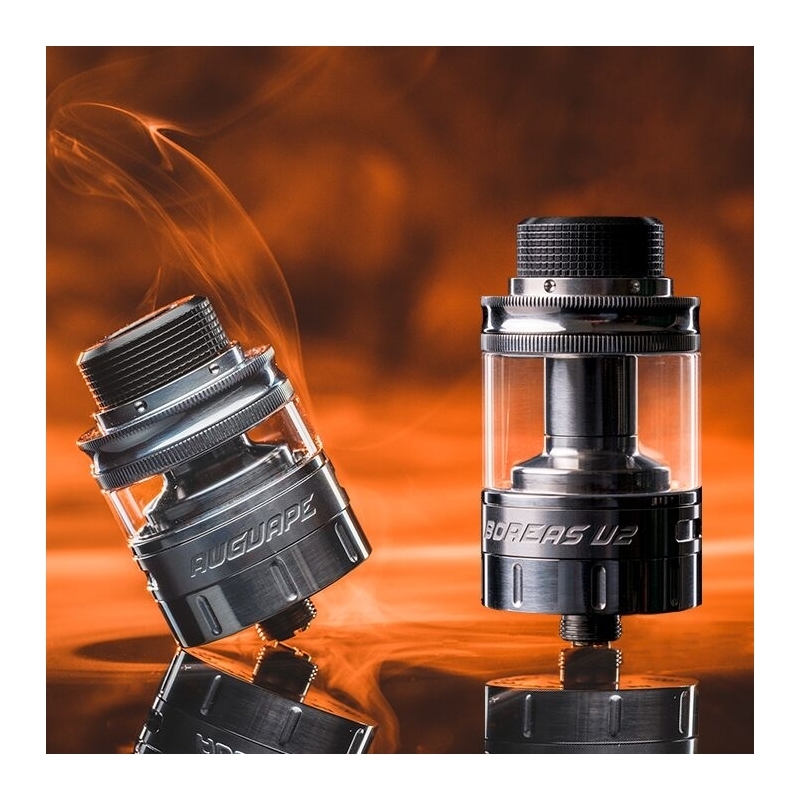 To ensure direct airflow to coil alignment, the inner chimney features a locking mechanism with notches that fit into the deck.